When it comes to guns, no other country is quite like the U.S. Wherever you stand on the firearms debate, the statistics are undeniable: The U.S. has 29.7 homicides by firearm per 1 million people (six times as many as Canada and almost 16 times as many as Germany). The U.S. has 4.4 percent of the world’s population, but almost 50 percent of the civilian-owned guns in the world. According to the Gun Violence Archive, there have been 13,243 deaths and 27,102 injuries from gun violence so far in 2017. On average, there is more than one mass shooting for each day in the U.S. The gun debate has been reignited yet again following what has become one of the largest mass shootings in modern U.S. history. On Nov. 5, 2017, a 26-year-old white male shooter opened fire at the First Baptist Church in Sutherland Springs, Texas, killing at least 26 people — including 14 kids — and injuring 20 more. This tragedy came only weeks after the mass shooting in Las Vegas on Oct. 1, 2017, when a 64-year-old white male shooter opened fire on a crowd at the Route 91 Harvest festival from his hotel room at the Mandalay Bay. If you must keep guns in your home, they have to be responsibly secured at all times — away from any unauthorized person, especially a child. “If you are not in direct control of the firearm, it needs to be locked away,” says Mark Luell of Growing Up Guns. “On top of a shelf or under a sofa doesn’t count. Think your child doesn’t know it’s there and can’t reach it? Think again.” Always store any ammunition separate from any guns — and the “expense” of locking guns away isn’t an excuse; you can pick up a combination gun vault for $30. 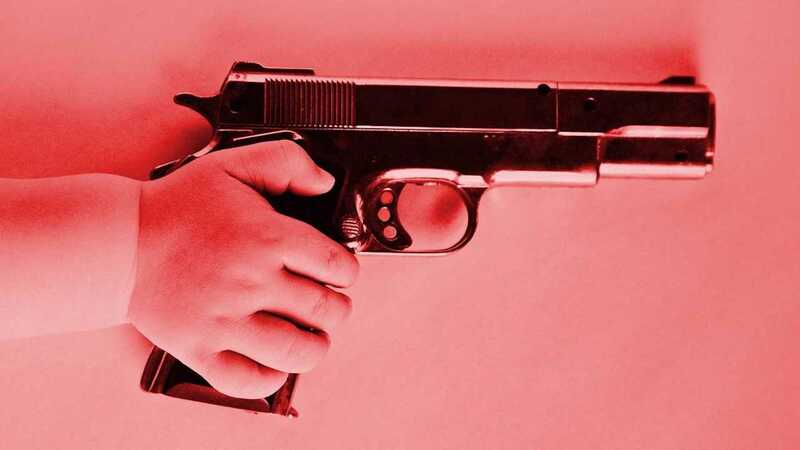 It’s crucial to teach kids what to do if they find a gun, says Shawn Pappas of Suarez International Firearms Training: “Stop. Don’t touch. Get away. Tell a trustworthy adult.” An undisturbed gun will not fire, making “don’t touch” vitally important. Kids need to know to “get away” from the gun, even if it means leaving a friend’s home abruptly in the middle of a playdate if they find a gun stuck in a couch. And they need to know whom they can trust to tell, which may not be the person who owns the gun. Both Luell and Pappas recommend removing any potentially appealing mystery about guns early. In other words, don’t keep their existence a secret from your kids. Be sure to make a distinction between any real guns your child sees — in real life or on TV — and toy versions. Always emphasize the fact that guns are not toys, but steer kids clear of both versions if you can. “All that your children have, especially when they leave your home and supervision, is the knowledge and guidance you have given them,” says Pappas. You have a moral and often legal obligation to give them the tools and information they need for times when you’re not around. For Watts, tackling the gun violence epidemic in the U.S. is a two-pronged approach. While Watts and her supporters fight for public safety, all gun-owning parents have to take responsibility for their choice and do everything they can to ensure their child (and everyone else’s) doesn’t become a victim of gun violence.